Please note we have limited capacity available between now and Christmas. Contact us now to secure your gazebo. 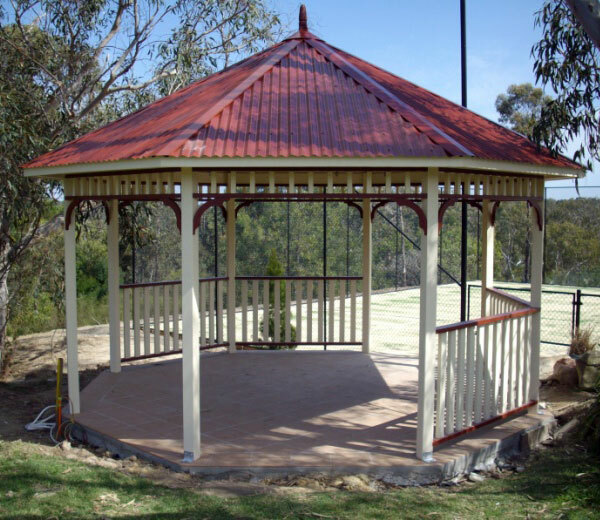 This classical and formal timber gazebo is available in 3 sizes (3.6, 5 and 7 metre diameter). 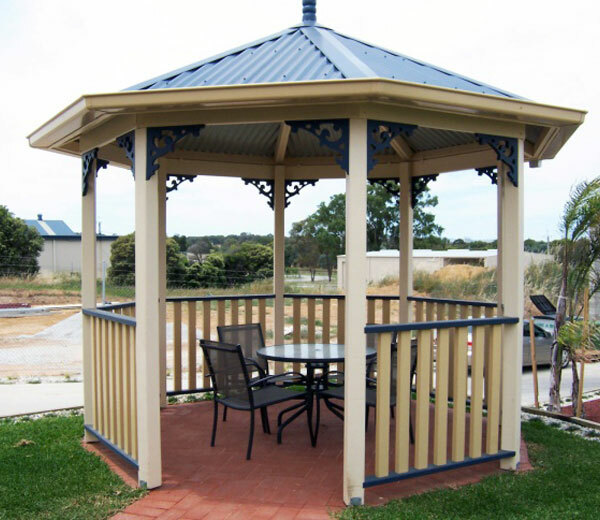 It is 8 sided with a Colorbond roof and painted timber work to your choice of colours. The standard wooden gazebo kit comes complete with 7 picket fence sections and ornate cornice. 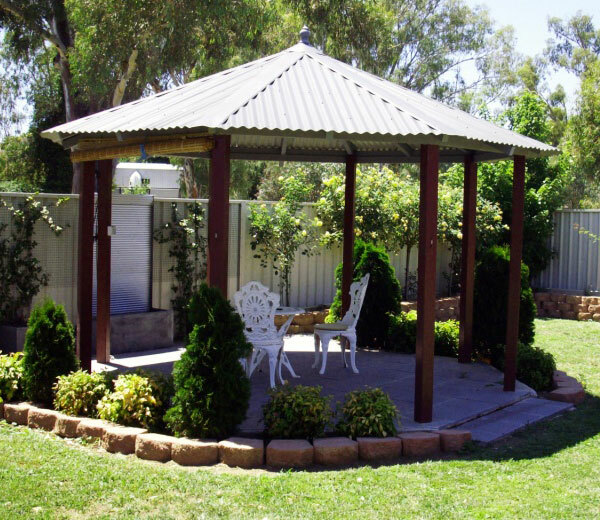 This timber gazebo will enhance any garden setting. It can be used to house a barbeque, pot belly stove or spa or used simply as a quiet place to relax or for a full on party room for young and old alike. 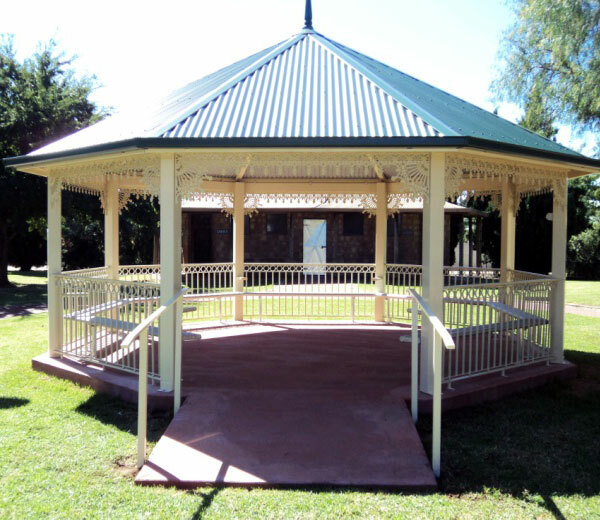 This timber gazebo is also popular for commercial use in schools, hospitals and council parks. 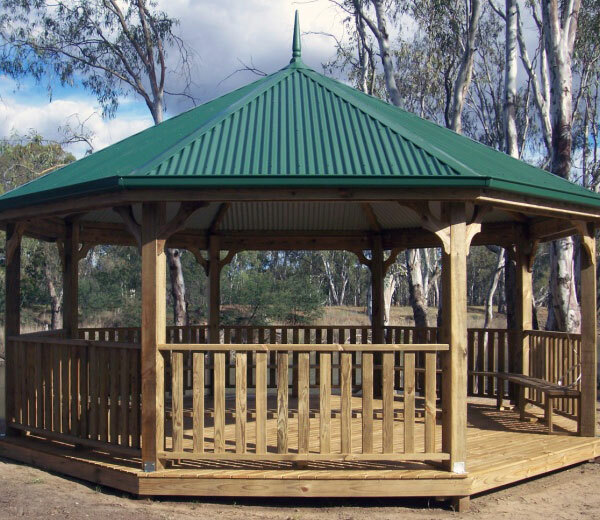 Kidzone Cubbies are located centrally to cost effectively supply our quality timber gazebos and sheds to the Eastern States including Sydney, Canberra, Brisbane and Melbourne. If you have any questions about our wooden products or require a free no obligation quote, please contact us on 0425 787 358 or via our contact page. We also offer a special price for installation if you can provide someone to help.